One of my friends heard about my desire to see Rise of the Guardians , the new animated film out in theaters. He rolled his eyes and said, “JP, You will never grow up.” Of course, I ignored him and over this weekend I went to a matinee and saw it. It was a tradition in my youth as well as when I had my own family to go see the latest holiday movies out. There was always at least one holiday themed movie added to the list of action and adventure ones playing in theaters. Even after my divorce, and in subsequent visits with my children , we did this movie going tradition through their adulthood. This Thanksgiving I was not with them. So it was not so much my inner adolescence that was driving me to see the film as much as it was my desire to connect with that feeling with my children and my memories of the holidays. Unlike some people, gathering with my family is always something I look forward to and enjoy being with them, especially during the holidays. The theater was not filled but it was nearly so with families and children. There were also couples and singles like me. The laughter of the children prior to the movie starting opened up several memories in my mind of my own babies of holidays past. It was nice to relive them, then to watch the tedious pre-show that was going on up on the screen before all the previews started. So I watched the movie. I was so glad I did. It had an edge to the story that was filled with dialogue and depth that appealed to both children and adults. The humor was just that right blend and real good. The animation was spot on. The little elves stole the show. The story is basically about how children are losing their belief Santa Claus, the Easter Bunny, the tooth fairy,etc, due to the intrusion of a menacing force. These childhood heroes belong to an organization that bind together to fight such evils. The story also centers on Jack Frost and his surprising but critical induction into the Guardians. You never see these fanciful childhood icons like this in a movie before. There is action, thrilling scenes of battle, and some of the most magical moments the will make this movie a must see classic every year. You really leave the theater feeling with the spirit of the season that you can’t get with the chaotic shopping and noise that accompanies any trek downtown or to the mall. 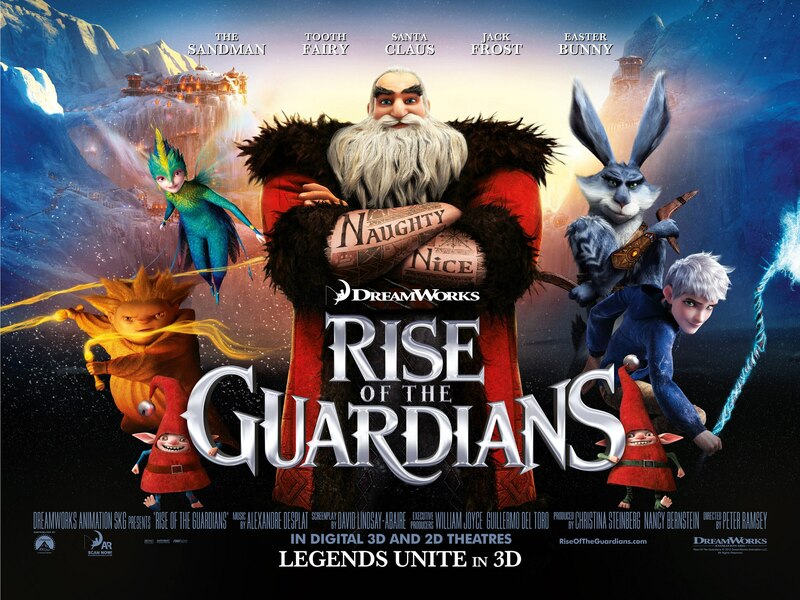 Make Rise of the Guardians a requirement to bring the season to your heart and the magic of it all to your holidays.